The table decorations are a must to be perfect every time at any kind of occasion. These days at almost all the celebrations and weddings, table decoration includes the polyester table napkins as an essential part. These types of cloth napkins are said to be an essential part of the table setting. We provide the best quality poly fabric napkins in a variety of shades that you can easily buy from our official website. At BB crafts, we endow all our valued customers with the best services. So, if you are planning to throw a dinner party at your place and searching for some high quality poly cloth napkins in bulk in a variety of shades then BB crafts is the best place for you to get all you need. 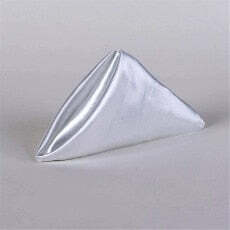 Here you get a wide range of color and style choices, including gold, white linen dinner napkins in wholesale. The best fact about our discount napkins is that all these are authentic and reasonably priced.